Become an integral part of a diverse team in the Mission, Cyber and Intelligence Solutions (MCIS) Group. 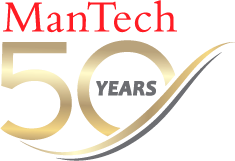 Currently, ManTech is seeking a motivated, mission oriented Agile Product Owner, in the Fairmont, West VA area, with strong Customer relationships. At ManTech, you will help protect our national security while working on innovative projects that offer opportunities for advancement. critical IT Operations & Maintenance programs, a passion for coaching and developing technical resources, and a history supporting large-scale government contracts. In this role, the Research Analyst will have strong technical skills and knowledge combined with the ability to clearly communicate technical concepts, but with enough business acumen to prioritize initiatives and work with senior management on trade offs. The Product Director should understand how to create, socialize and evolve product road maps in an agile environment,understand the value in incremental product development, and how to helps take holders and teams embrace and execute iterative delivery of product increments. Work with internal and external stakeholders to ensure business needs are being articulated and defined appropriately. Elaborate features with business intent and acceptance criteria. Assist teams in breaking down features into user stories. Work with the release management team to deliver releases. Assist the Product Lead and Product Management in the development and communication of the Product vision and road map. Help Product Leads understand the program backlog so they can manage and prioritize the flow of work. Work with Product Architect to understand product architecture and Enabler work. Serve as a product expert, understanding user workflow; and working with Development to deliver solutions to meet end user needs. Demonstrate the ability to own a complex solution including future release development and integration. Experience writing requirements and manage others driving requirements through the full SDLC. Includes business requirements, functional design, test plans, implementation plans, and can review and understand technical design. Technical understanding of databases, flow diagrams, some ability to read code and scripts. Ability to own and drive defect triage and prioritization. Experience with managing the creation and grooming of user stories and defining acceptance criteria in Scrum. Hands on experience with Agile practices, Scrum process, Kanban etc. Proven leadership experience in IT delivery. Deep understanding and experience of web technologies, user experience modeling/evolution etc. Understanding of mobile technologies will be a plus. Knowledge of Systems Development Lifecycle and the Project Management Lifecycle. Business savviness and ability to identify potential business and product opportunities. Experience with Product Road map development and influencing key stakeholders for buy in on business priorities. Experience with IT Service Management, ITIL, or the Scaled Agile Framework is desired.